The Small Cinema * Sunday (August 2, 2009) * 2:00 p.m.
St. Luke's Painters, Poland (PL) 2005, colour, 48 min. 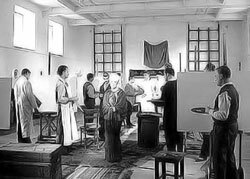 History of a group of painters Saint Luke Confraternity, gathered around T. Pruszkowski, artist and pedagogue of Warsaw’s Academy of Fine Arts during inter-war. 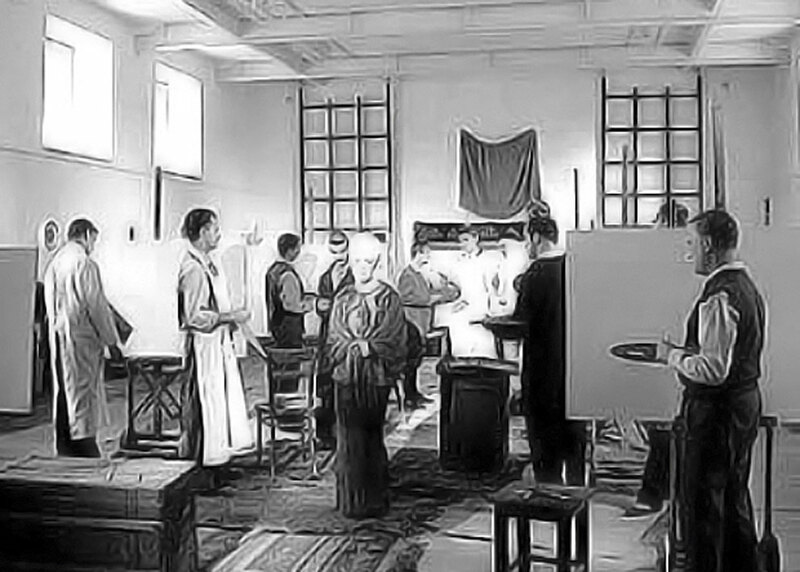 Cycle of paintings made by him, which show the most important events from the history of Poland, was presented on New York’s exhibition in 1939 and never came back to Poland. Film shows efforts to retrieve the collection made in recent years. Film director, scriptwriter. Author of short documentaries, historical reportages and documentaries.